We have here a beautiful illustration of a beach vector seascape. 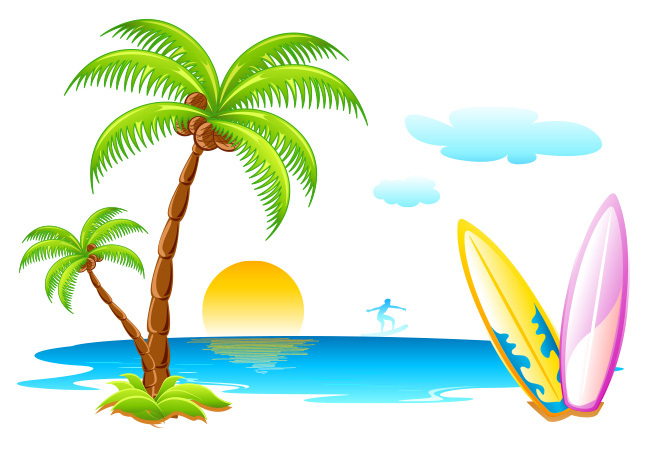 This beach seascape features surfboards, palm trees and a character surfing. Download this beach seascape and you'll just love it when you'll see how much time it'll save you.